A couple weeks back, the hairy guy finally walked across the Saginaw River. He'd been wanting to do that. Ice fishermen along the way paid him no mind, which is just as well. 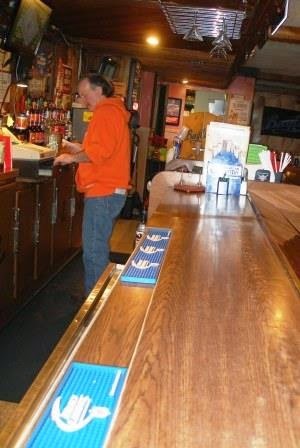 But it got him to thinking that a warm bar would be welcome after hours of fishing on ice. Where we were, out near the Independence Bridge (some call it "the new new new bridge"), the Circle Bar is the closest prospect on the east side, and it would be a hike in the cold. On the Banks side, there's nothing. Once upon a time, the Last Chance Saloon was right nearby, but it was wiped out when the bridge was built. That's progress for you. (The Last Chance is, however, survived by a song.) Maybe the USS Edson (a.k.a. the Saginaw Valley Naval Ship Museum, which is docked there, should open an on-board bar. There must be a good place, somewhere near fishing water and not too fancy, where a guy all bundled up could park his bait next to his bar stool and down a shot of whiskey or blackberry brandy while waiting for some good food. We found it, a bit north of the city, right off the bay. 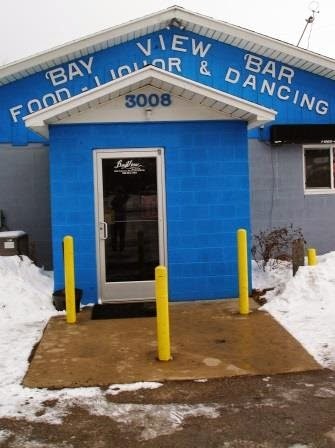 It's the Bay View Bar & Grill, at the north end of Patterson Road, across the street from a bayfront mobile home park and a very snazzy party store. to be out back). Nobody driving a snowmobile through the front door. Nothing like that. "It's pretty quiet as far as trouble goes -- and that's how I like it," says Frank Rutledge, a calm guy who runs the Bay View with his wife, Kathy, and son, James. And along with the lack of trouble was a lack of much to criticize about the place. The hairy guy makes a point (after some beer) of asking for a manhattan. Sometimes he actually gets one, but it's gotten to be more of an exercise in seeing what happens when he asks. This time, he struck out. No sweet vermouth. Frank said he has a bottle of dry vermouth but that it's been "sitting there since we bought the place." That was around four years ago. No big deal. We could also gripe that none of the pool cues were straight. But that would just be an excuse for losing a couple of games. Better players didn't have problems with the sticks. 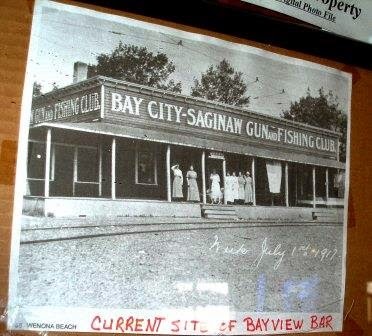 The Bay View has a full menu -- assorted burgers (including a breakfast burger, with ham, bacon, cheesy hash browns, fried egg and cheese on Texas toast), salads, tacos and daily specials ("random specials" on Sundays). The Wednesday special is 60-cent wings, which is what got us in the door; they're good. There's a fish fry on Fridays. Those cheesy hash browns, also available as a side order, are described as "creamy and comforting," which they are. The kitchen is open till 10 p.m.
group often showing up to get carryouts for the gang. During football season, this is also a popular spot for Lions fans. Most of the drink business is beer. On tap when we walked in were Bud and Bud Light ($1.50 for draft), Killian's ($2), Michelob Amber Bock (which replaced the usual Coors Light) and Samuel Adams Cherry Wheat ($3.25). Assorted cans also are available, some at $1.25 for happy hour. Jello shots are $1, if you're interested. There are multiple dartboards, one pool table, a lottery machine, an Internet jukebox and free wi-fi (yes, it sometimes gets used, Frank says). Music and dancing include a DJ on Friday nights, a couple with live acoustic music sometimes and karaoke sometimes. 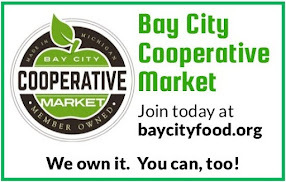 The Bay View opens at 11 a.m. (noon on Sundays). It's a popular family place for dinner, according to Frank, who adds, proudly, that women really like the bathroom. We can't confirm that. The men's room, though, has two sinks and works just fine. Obviously, this place is a perfect place to hangout but this time I want to throw my upcoming party at best karaoke bar nyc. Actually I am planning for this party after a long period and that is why I want it to be a perfect one. Really you are sharing nice article for us. It's helped me a lot. Thank you so much.